Need to put more muscle in your shop? TheRDB-325 pipe bendermight just be your answer, has a massive capacity of 2" Schedule 80 pipe (Mild Steel T.S. 64,000 PSI) and 3 “round tubing with a 16.5” maximum center lines depending on material OD. 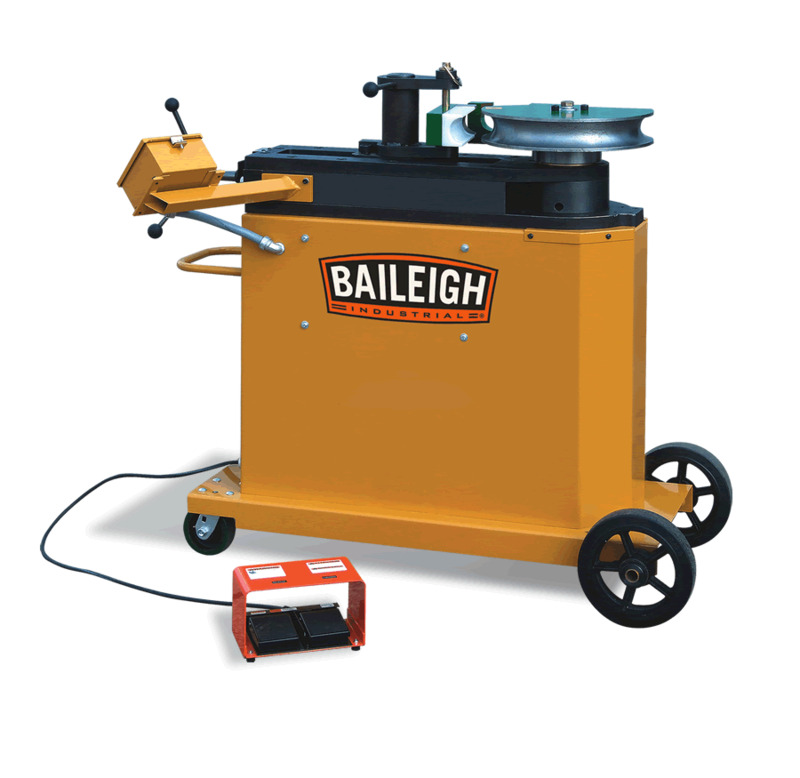 Tooling for the RDB-325 is the same high quality tooling that entire line of Baileigh Industrial top loading tube benders use and with over 5000 die sets available, there will be one for your application. The RDB-325 requires just 220 Volts of single phase power that allows it to work in almost any fabrication setting. This pipe bender comes standard with a simple to use touch-screen controller that holds up to 170 programs with up to ten bends per program. If more memory is needed, a memory card (standard 2CB SD card, max) can be used to store programs as well. An optional indexing table can be fitted allowing the fabricator to bend on varying planes and easily duplicate complex bends. Like most of our RDB tube bending machines, this one comes standard with simple to use foot pedal controls and a swing away counter die system for increased production. Another nice feature of the RDB-325pipe bender is that it can rotate up to 360 degrees in either direction, making it a great machine when using our optional universal bending plate for rod applications. 60" x 32" x 48"